And this is what I found! Isn't it gorgeous??? 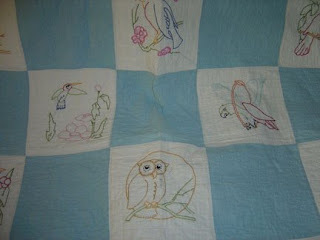 Beautiful hand embroidery and the hand quilting is absolutely exquisite! Such perfect, tiny stitches. 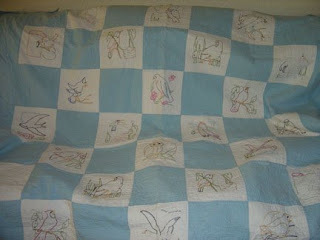 There isn't any quilt batting which makes it the perfect summer quilt. And I got it for a song ... oh happy, happy day!!! !